Siborg is offering a discount on all LCR-meters, test equipment and accessories in the LCR-Reader Store until August 31, 2017, for all students, teachers and educational institutes. The sales price will reflect the quantities of devices purchased. The LCR-Reader and Smart Tweezers LCR-and ESR-meters, as well as the LCR-Reader Pro task kits and Smart Tweezers Bluetooth are also included in the sale. The Smart Tweezers Bluetooth model recently got upgraded to include the ability to send data to the ST device as well as receive the measurement data. 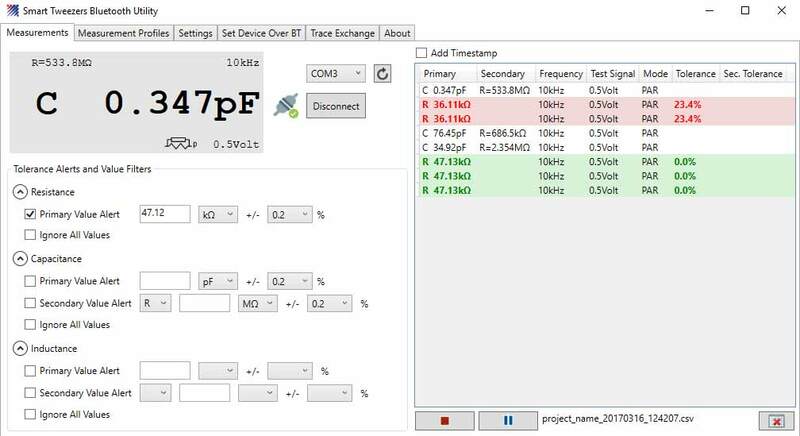 The Bluetooth connects to PC, smart phones or tablets and can be used with software such as National Instruments LabView and the Windows’ Smart Tweezers Bluetooth Utility. These programs allow users to save all measurement data into a .csv file or other preferred file type for later processing or to be put into a database. Custom profiles can be set that use previously measured results or manual settings; these profiles are a set of specific parameters that a component must meet. When the measurement is complete, the program will grant the component a pass or fail whether it meets the specifications. SMD Multimeter Test Tweezers that allow for tweezer-probe precision with most multimeters that have 4 mm jacks. LED Test Tweezers that use a 12 VDC output with variable current ratings for testing LEDs. This device can also test circuitry and components using the included multimeter connector cable, which allows the device to be used as tweezer probes. 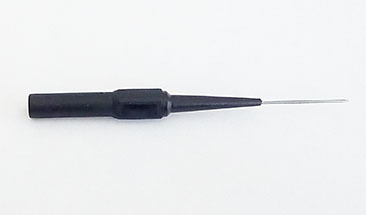 LCR-Reader/Smart Tweezers Kelvin Probe Connector: a shielded two-wire connector that allows Smart Tweezers and LCR-Reader to become full probe stations. The device includes 5 attachments and allows the multimeter to measure components larger than the tweezers’ spread would normally allow. Siborg has recently added fine and extra-fine pin-probes that can be purchased separately. From March 29th to August 31st, 2017, Siborg is offering the sale to educators, students and educational facilities in the LCR-Reader Store. Students are required to show valid I.D, while educators can have their devices shipped to an institute or send a P.O. The sales price is reflected in the quantity of devices bought, starting at 15% for a single device.